SAFETY ACT CONSULTANTS - Why Apply For SAFETY Act Protection? Why Apply For SAFETY Act Protection? Any entity that buys, uses, sells, installs, integrates, deploys, designs, manufactures, supplies, distributes, advises on, or is otherwise involved in, any type of security related products, technologies or services used in any application, whether for yourself or for others, does so at an extraordinary liability risk. Because of this catastrophic risk exposure, management has a fiduciary responsibility to explore the very broad immunities, liability caps, defenses and other protections that could potentially be afforded their organization under the SAFETY Act. It is critical to know if, and how, your organization can benefit from this Federal law. You do not have to be a manufacturer, developer or seller of the security related products, technologies or services to apply for, and benefit under this law. In fact, just by using, selling or deploying someone else’s SAFETY Act approved products or services, you are automatically immune, under Federal law, from any terrorism related lawsuits arising from from an alleged failure or omission in those products or services. What About My Terrorism Insurance? 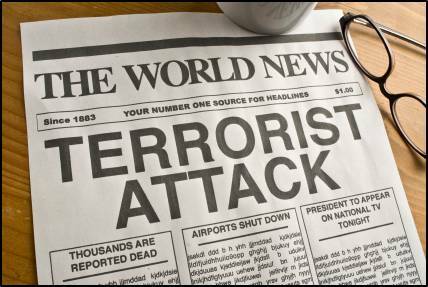 Terrorism insurance remains available in the commercial marketplace. However, insurers view terror-related perils as catastrophic in nature. The premium for “conventional” [Non-NBCR - see below] terrorism coverage can be prohibitive for many buyers based on both their exposure and geographic location. If there is another terrorist attack on the US, it is likely that terrorism coverage will be highly restrictive or not available, as was the case immediately after 9/11. This leaves the "insured" very suddenly with no options on real exposures they cannot control. Depending on an entity's perceived exposures, they may have few options available and likely all with low limits, on highly restrictive coverage, or coverage that is economically unfeasible to purchase. Regardless of the premium costs, the total worldwide insurance market, even today, does not have nearly the total capacity necessary to provide adequate liability limits in the event an organization is held even partially responsible for a terrorist event. Insurance coverage alone is unlikely to assure your financial survival after the highly emotional, and high visibility, litigation that will certainly follow a terrorist attack. It is very important to understand that any terrorist event which in some way involves a nuclear, biological, chemical or radiological (“NBCR”) attack is excluded by almost all insurance policies, terrorism specific, or not. Although a nuclear or radiological attack would hopefully be rare, any perceived failure in preventing or mitigating even a small biological or chemical event could be financially devastating to any organization, especially without insurance. The defense costs alone would cripple most companies. Is SAFETY Act Protection Worth the Effort of Applying? terrorism related liability exposures, if available and not taken advantage of, can, in addition to the drastically increased terrorism liability exposure, present a very different type of liability exposure to the personal assets of an organization’s owners, directors and/or officers. In today's geo political world, threats of terrorism have not diminished, to say the least. Applying for SAFETY Act protection requires some focused effort and may even pose some challenges. However, not applying, if the protection was otherwise available, could create much more severe liability challenges in the future including potential stockholder suits. 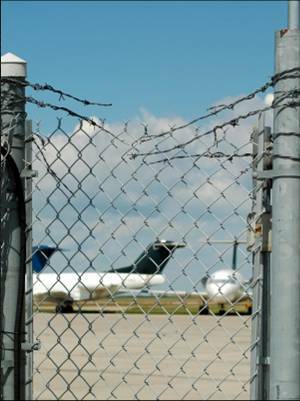 The ramifications of an organization’s failing to seek SAFETY Act protection, when they could have otherwise qualified, can be severe. In addition to direct damages from the attack, possibly issues under Sarbanes-Oxley and from stockholder suits alleging a breach of the fiduciary responsibilities of the Directors or Officers by not applying for liability protection under the SAFETY Act. SAFETY Act can help protect you and your directors’ and officers’ personal assets from stockholder suits alleging a breach of fiduciary responsibility in not applying for SAFETY Act protection if it was otherwise available to you. This could also apply to a public official's liability as well as board members. Sarbanes-Oxley, Sarbox or SOX, requires CEOs to certify they have reviewed their company’s financial practices and understand risks that may affect the financial reporting process. Although Sarbanes-Oxley’s application to homeland security risks is unclear, SOX obligates companies to use best efforts to discover all potential financial risks through a process that is rigorous enough to ensure a reasonable chance of uncovering them. The more homeland security / anti-terrorism technologies or services you are involved with, either for your self or for others, the more likely SOX can apply. Again, this is implied and not specific in Sarbanes-Oxley. Under DHS interpretation of the SAFETY Act, the use of approved products, facilities or services confers key benefits to the user in addition to the broad protections provided to the provider or seller of those qualified products or services. 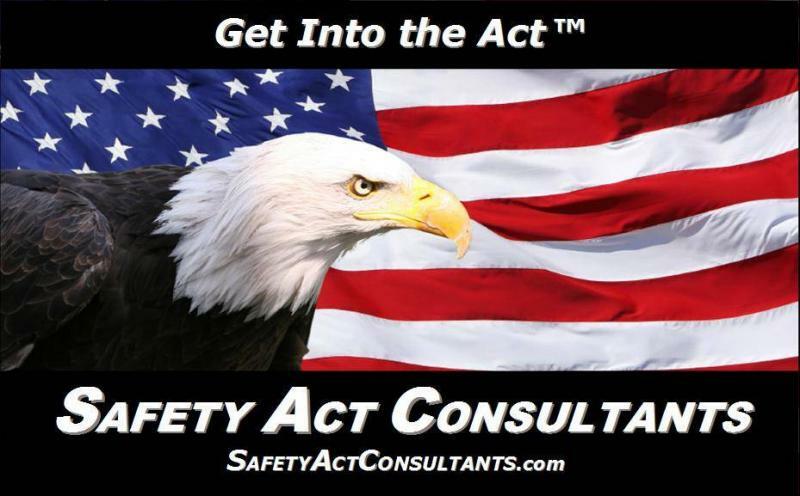 Why Apply For Your Own SAFETY Act Designation? You know about SAFETY Act's immunity for vendors, users and customers." However, trying to buy or the use only Designated products and services is very impractal and unrealistic. So why do you need it? Even if the products or services you use are already SAFETY Act designated, you must evaluate the need to apply for your own SAFETY Act protection. If you use multiple products and suppliers, or manage, provide or integrate anti-terrorism products or services yourself, or are involved in making decisions on what to use or buy, applying for SAFETY Act protection is important. The SAFETY Act's "who is protected" wording is not explicit and far from clear. It is a DHS interpretation of the Act’s intent that “flows” potential benefits to you. It remains untested in court. If you rely on the protection afforded to a vendor or other third party providing terrorism products or services, you will not have the same degree of protection that you could obtain on your own. If you rely on another’s Designation or Certification for your protection, you are relying entirely on another party and have no control over the process. They filled out the application which you cannot see, is it accurate? Was their product or service ever altered or modified without DHS' approval? Is their insurance in force and placed correctly to assure coverage? Was it renewed? They have to renew SAFETY Act each term. Did they? You have no control. ... and certainly not the least concern, the plaintiff will likely try to “plead around” SAFETY Act by not alleging a failure in a SAFETY Act protected product or service. They will try to blame your negligence in the use or deployment of a non-protected product, service, its use or implementation. They will allege that, you could not possibly have done enough since a terrorism event actually happened. 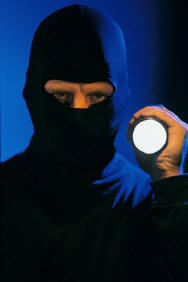 Without your own SAFETY Act protection, you are vulnerable. A SAFETY Act Designation from the DHS is necessary to guarantee your protection under SAFETY Act. You should apply to protect the role(s) you have in the use, implementation or delivery of terrorism-related products or services whether it is for yourself or for others. Although not addressed in, nor the purpose of, the legislation, SAFETY Act-qualified products and services have a significant marketing edge over those not qualified. The detailed DHS review process tells others that your products, facilities and/or services have passed stringent review. Under the DHS interpretation described above, your customers can benefit from significant liability protections by selecting your product, technology, advice, facility or service. More and more procurements, in both the private and governmental sectors, require SAFETY Act consideration, qualification or eligibility. This trend is expected to increase and is actually addressed in a recent change that incorporates SAFETY Act consideration into the Federal Acquisition Regulations (FAR). It is important that entities who are currently SAFETY Act qualified or, have applied or, who may apply, understand how this Act impacts both new and existing insurance placements, coverages and costs as well as the policy modifications required to assure protection under both the legislation and their insurance. There is no provision for an appeal process if DHS approval is denied. - You must reapply! Drastically increase its chances of becoming the plaintiff's “soft target"
* Sarbanes–Oxley or “SOX” requires CEOs certify they have reviewed their company’s financial practices and understand risks that may affect the financial reporting process. Although SOX’s application to homeland security is unclear, If potential liability for a terrorist attack causes a corporation’s stock to plummet, can stockholders sue for an inadequate risk management strategy for failing to limit its liabilities under SAFETY Act and/or failing to disclose vulnerabilities?